Picturing Disney: Your Chance to Win a Disney Dooney & Burke Wristlet starts Monday! 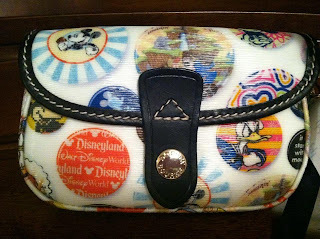 Your Chance to Win a Disney Dooney & Burke Wristlet starts Monday! Just wanted to give all you fabulous followers and readers another heads up with some more details about the upcoming contest! The Disney Dooney & Burke wristlet giveaway will go live at 12:01am on Monday, August 13th and run through 12:01am on Tuesday, August 28th. This is a contest I am working with some of my favorite Disney bloggers on so you will have the opportunity for multiple entries for liking some really great pages, as well as following on various social networking websites! Its super easy to enter and with multiple entry possibilities its a great opportunity! Stay tuned for more info or bookmark this page until Monday when the Rafflecopter widget below will go live!